Currently on display at the New Museum in New York City is Cronocaos, an exhibition by OMA/Rem Koolhaas that premiered at the Venice Biennale last year. The enigmatically titled show is focused on preservation, which Koolhaas and gang assert "architects...have been oblivious or hostile to." From their particular point of view this is the case, but for many architects preservation is not so foreign a consideration. Nevertheless OMA/Koolhaas aim to articulate a theory to "negotiate the coexistence of radical change and radical stasis that is our future," a commendable effort that may have the effect of making preservation cool. 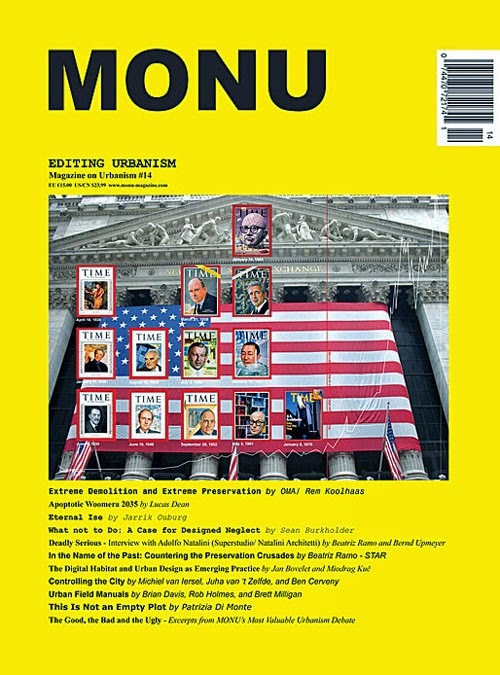 This latest issue of MONU (Magazine on Urbanism) apperars to be born from the idea of the exhibition. 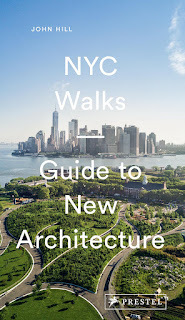 It not only features an interview/visual essay on Cronocaos, but its theme, "Editing Urbanism," asks contributors to address preservation, restoration, renovation, adaptive reuse, the topics typically ignored by architects and thinkers on the profession's fringes. The results are a theoretical and visual grab-bag, veering from OMA's call for "extreme demolition" alongside "extreme preservation," Jarrik Ouburg's embrace of Ise's well known 20-year rebuilding cycle, Adolfo Natalini's nostalgic architecture, and Beatriz Ramo - Star's coming to terms with a UNESCO World Heritage Site. These highlights in the mix illustrate that preservation is quite diverse, not just a simple matter of saving a building. 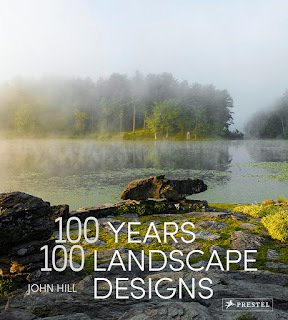 Nevertheless an apparent consensus can be found in treating places as dynamic and evolving, not static snapshots of a distant past.